A deluxe box of exquisite Belgian chocolates. 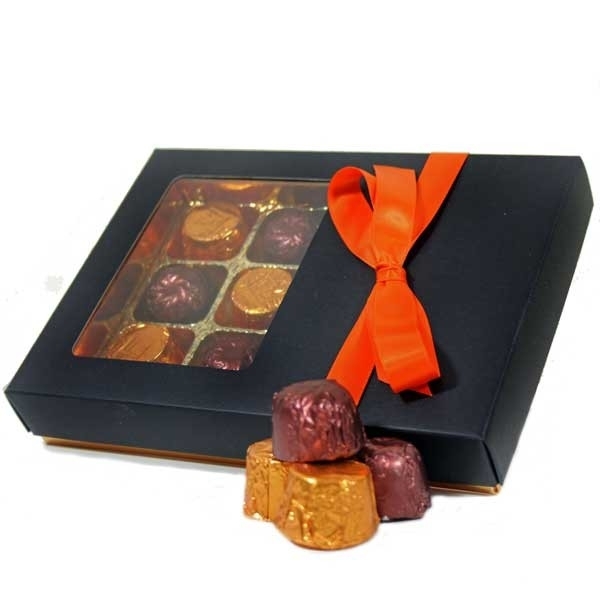 A fabulous combination of Salted Caramel melt in your mouth chocolates and sublime Butterscotch these Belgian beauties are presented beautifully in a premium black texture embossed window box with a bright gold buffer base. Available in two sizes, choose from 12 or 24 and why not personalise with ribbon and a personalised swing tag.to match your branding.